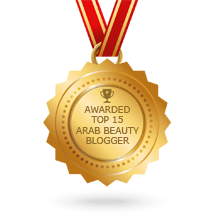 If you are following me on my social media handles, you’ve already heard the news: The Tezzy Files has been nominated yet again for the very prestigious category of ‘Best Blog’ by Ahlan Masala! The Tezzy Files turns 2 this month, and this is the second time the blog has been listed by Masala! I can’t tell you how thrilled I am to see my blog on this list of some of the best known bloggers in our city. Posted in Press and tagged Ahlan Masala, Best Blog, dubai, ITP Group, Masala Awards 2016. Bookmark the permalink.